What did I find in The Balkans? 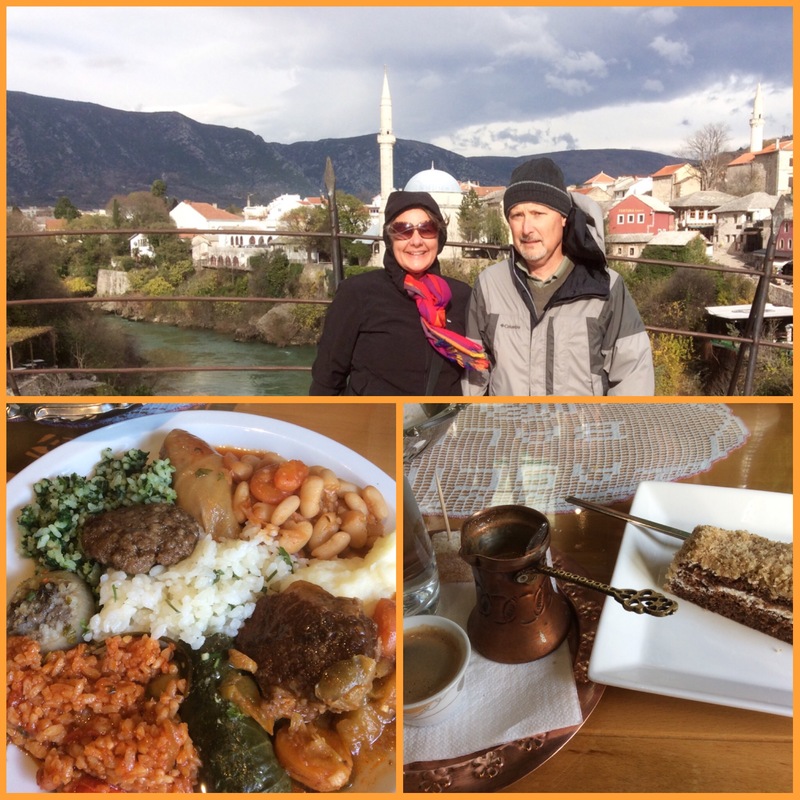 Sunshine, mountains, beaches, a kazillion shades of blue in the clear rivers, lakes, waterfalls and seas, as well as historic cities, forts, churches and mosques, plus friendly people and good food. I found myself overusing the words: beautiful, gorgeous, and stunning. 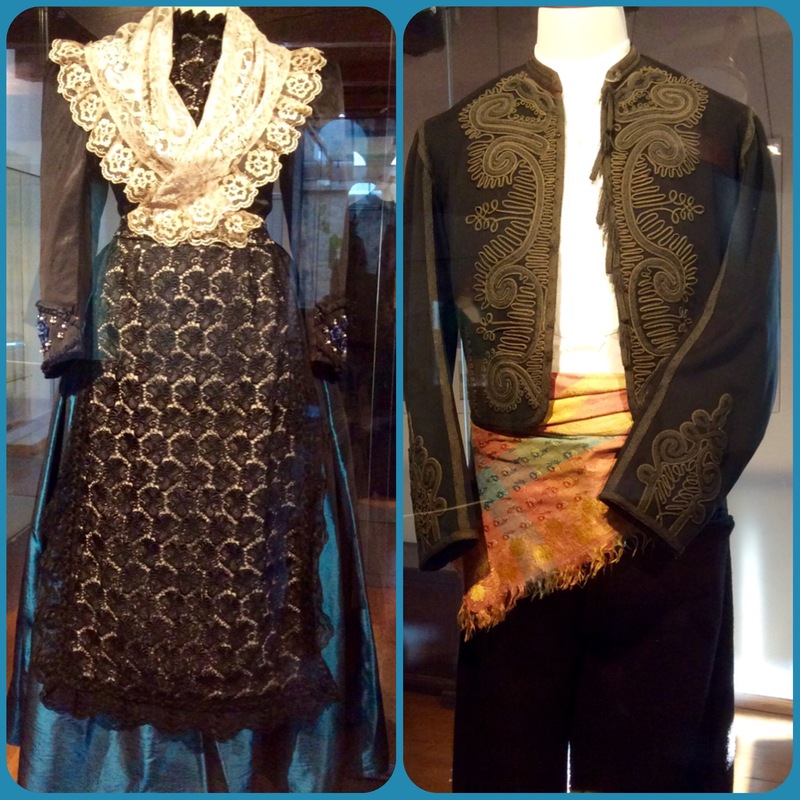 What I previously knew about The Balkans? 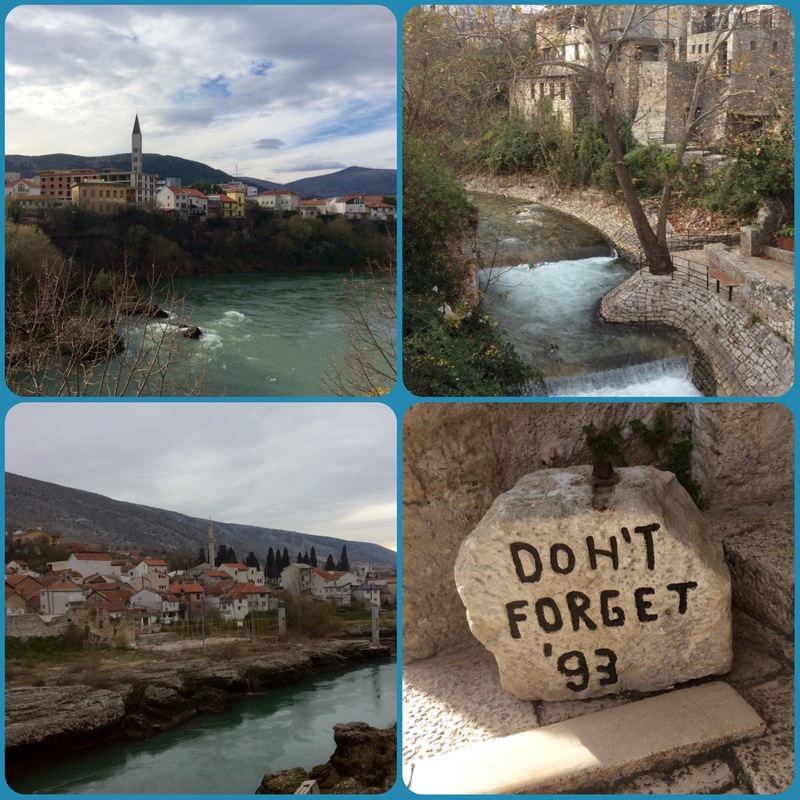 The 1984 Winter Olympics in Sarajevo…the breakup of Yugoslavia…ethnic strife, civil war, and atrocities. The Croatians calls their country Hrvatska. Croatia is in the E.U., but not the Schengen Zone. 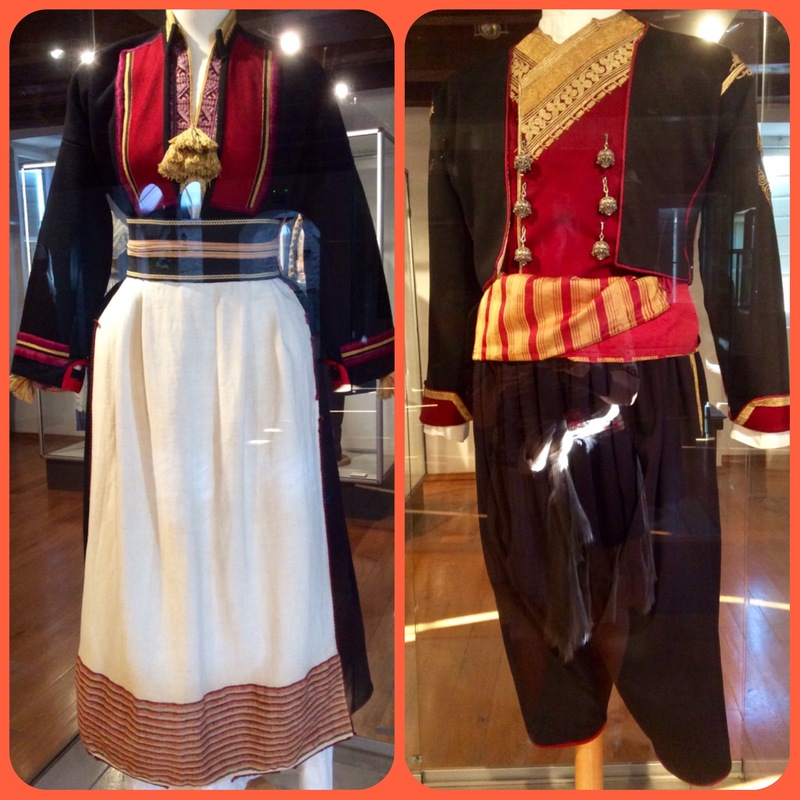 The following photo collages of beautiful national costumes displayed in Split’s Ethnographic Museum. 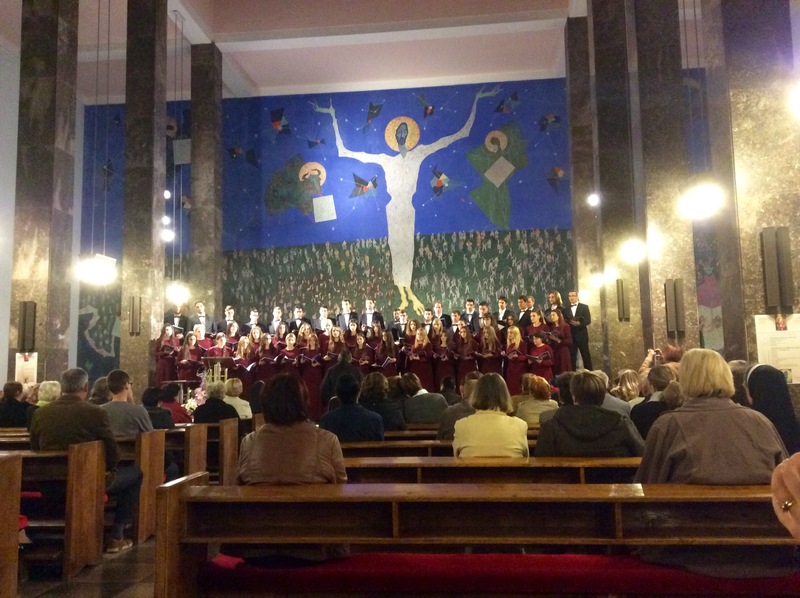 We enjoyed a free Organ and Choir concert. 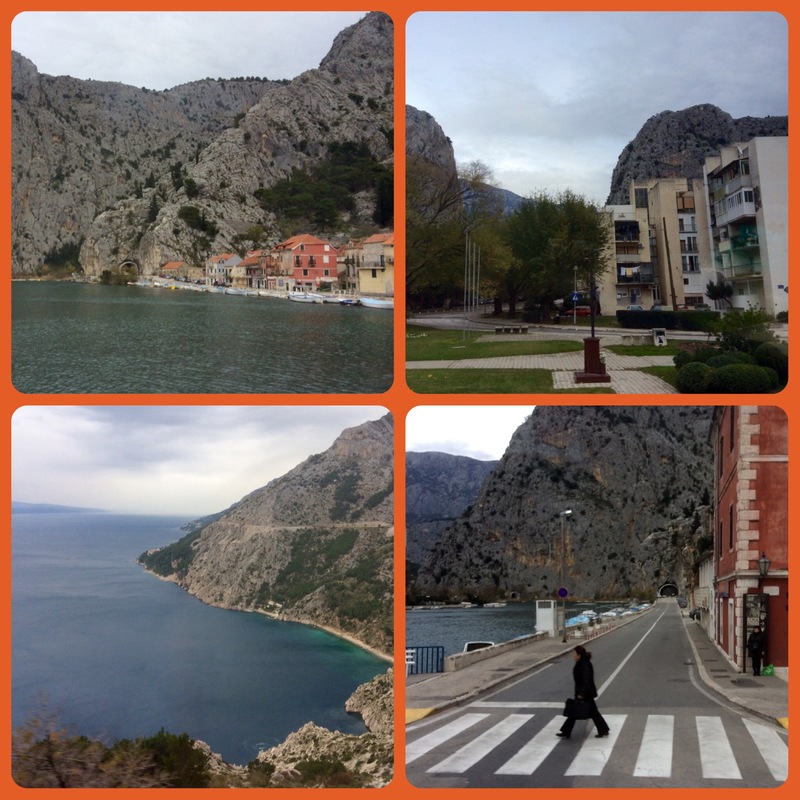 Omis, about 10 miles down the coast from Split, nestled between the Adriatic and mountains. 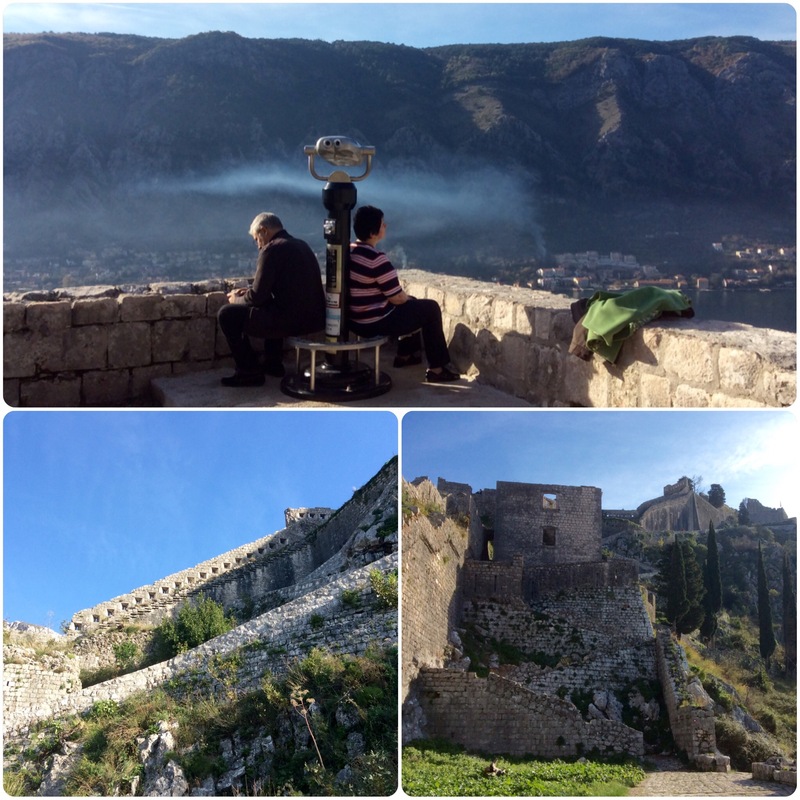 We visited the beautiful walled city of Dubrovnik on a previos trip so we didn’t return this time. BOSNIA AND HERCEGOVINA (also spelled Herzegovina). Why two names? They are two separate regions. 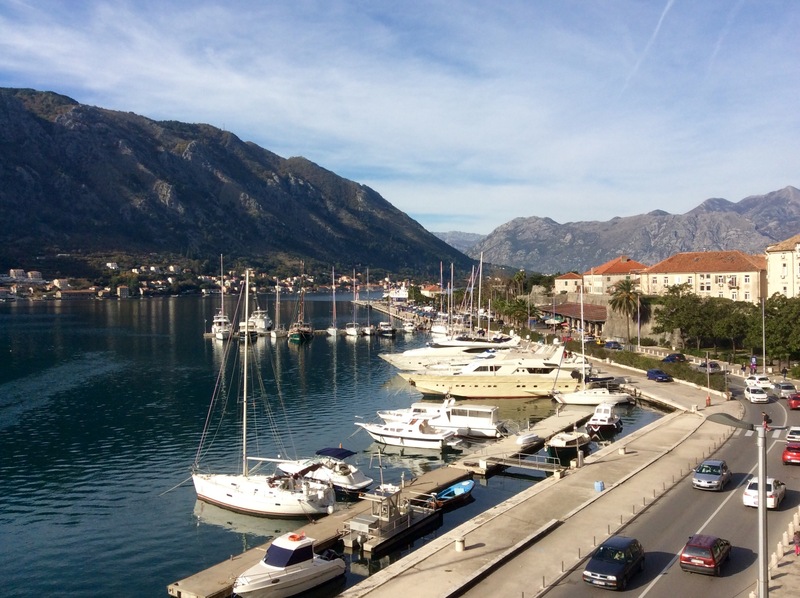 This country is nearly landlocked, it just has one tiny piece of Adriatic coastline jutting through Croatia. 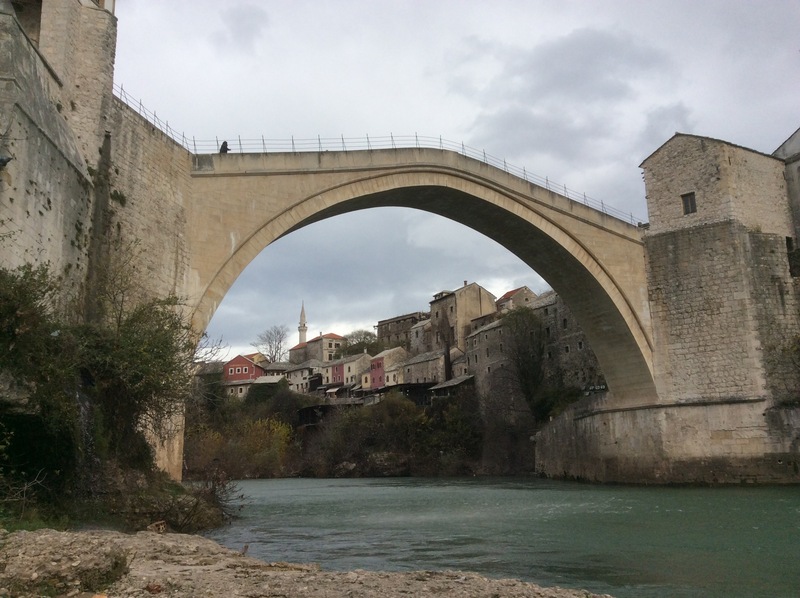 During the Balkan Conflict, the iconic 16th-century Stari Most (Old Bridge) built by Suleiman the Magnificent (and considered an example of classic Islamic architecture) was infamously destroyed. 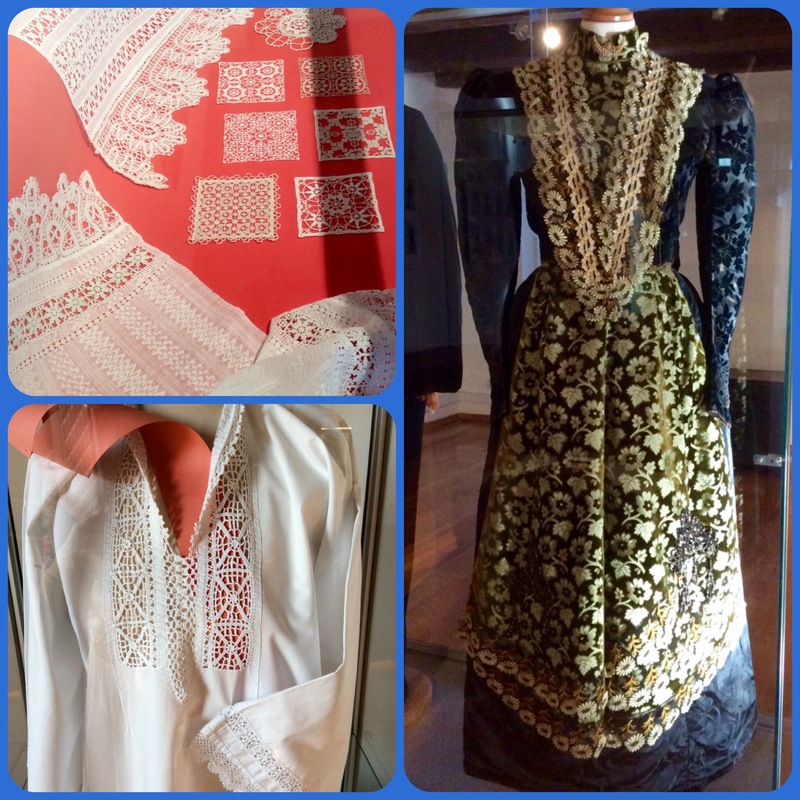 It has been meticulously rebuilt and bus loads of tourists (like us) come to see it! Link to a video about the senseless bombing and reconstruction of the bridge. Arching majestically over the Neretva River, the newly rebuilt Stari Most. In the summer divers dive nearly 68 feet from the bridge. 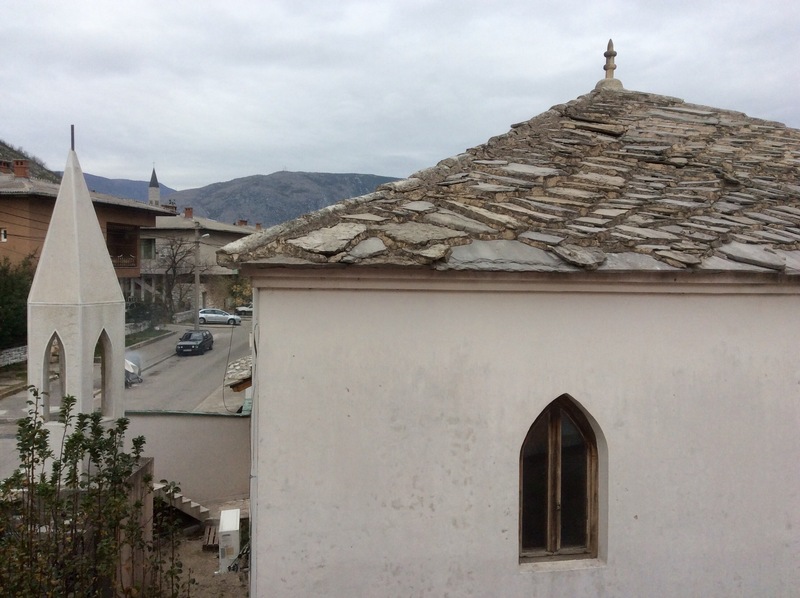 Minarets and bell towers punctuate the Mostar skyline. A memorable home-style meal of local dishes. There were several rice dishes, but they all tasted different and were delicious. 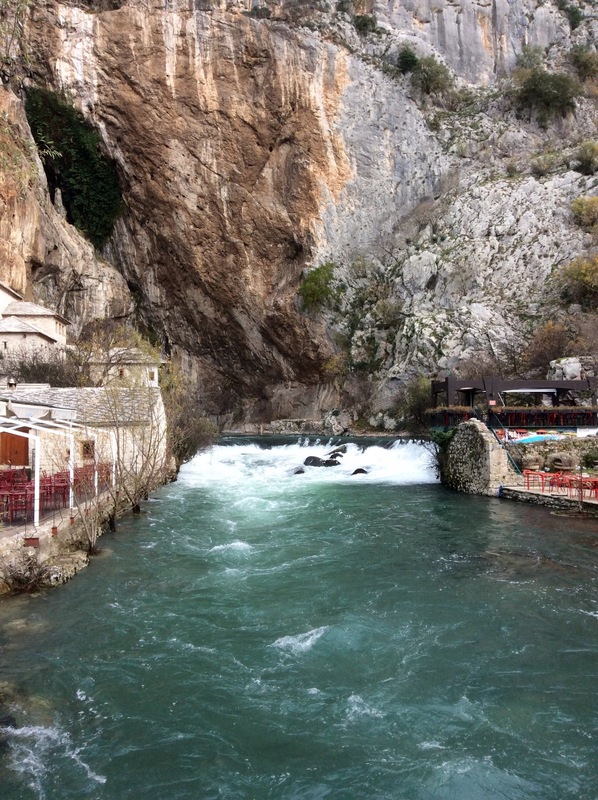 I’m all bundled up because a terrifically strong and cold wind was blowing through Mostar. 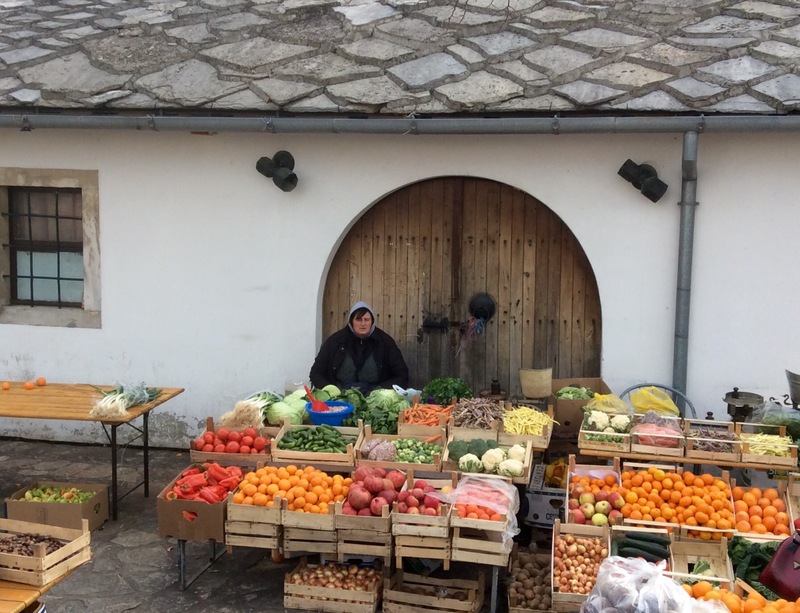 We stayed 2 nights in Mostar. The quaint historic center is built alongside the river. Although a lot of bombed out buildings are still visible, so are cranes and signs of new construction. 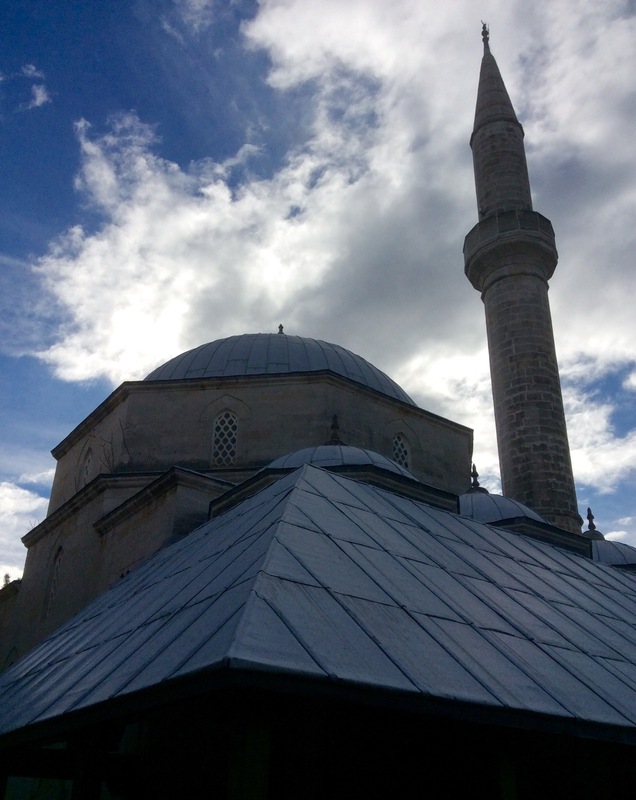 The Keski Mehmed Pasha Mosque was built in 1619. The view from our guesthouse room window. 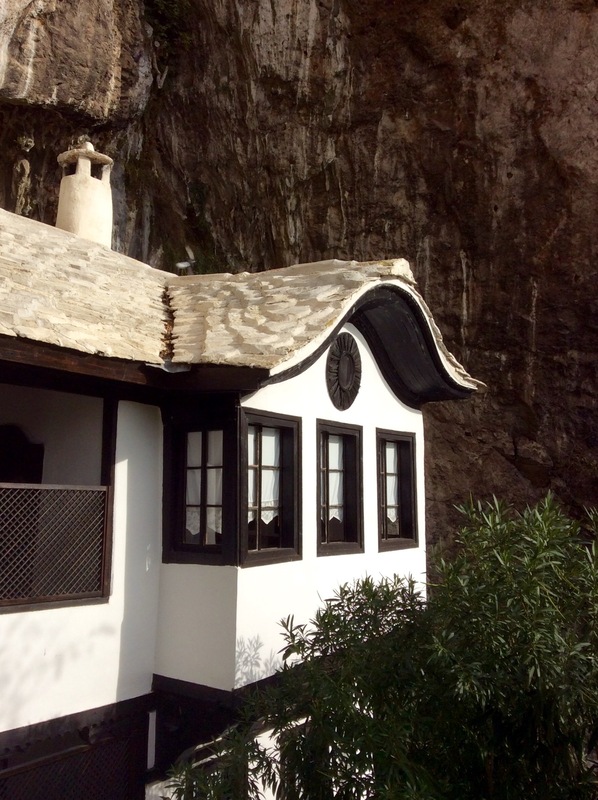 Notice the heavy flagstone roofing. 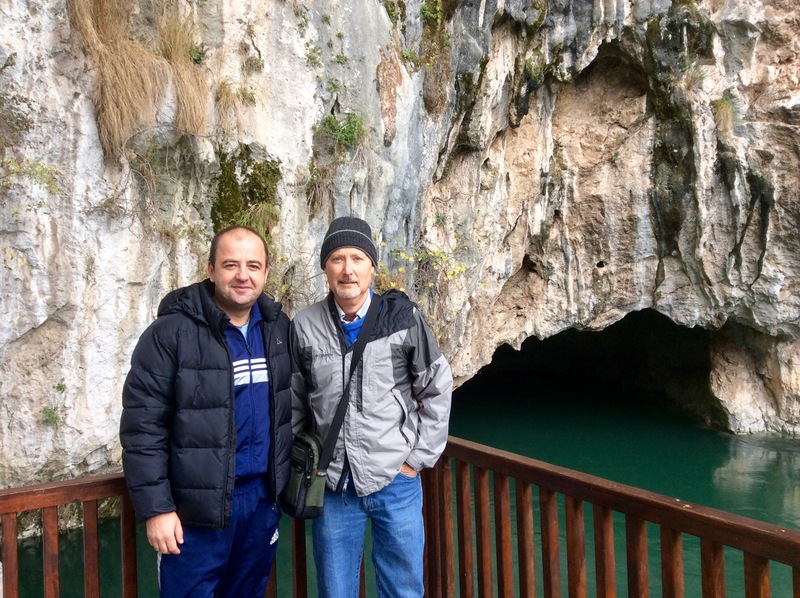 Adnan, another friendly soul, took us under his care and showed us Blagoj, a national monument and the source of the Buna River. The Tekija Blagoj National Monument, a 14th-century Tekke-Dervish mosque, masoleum and holy place. 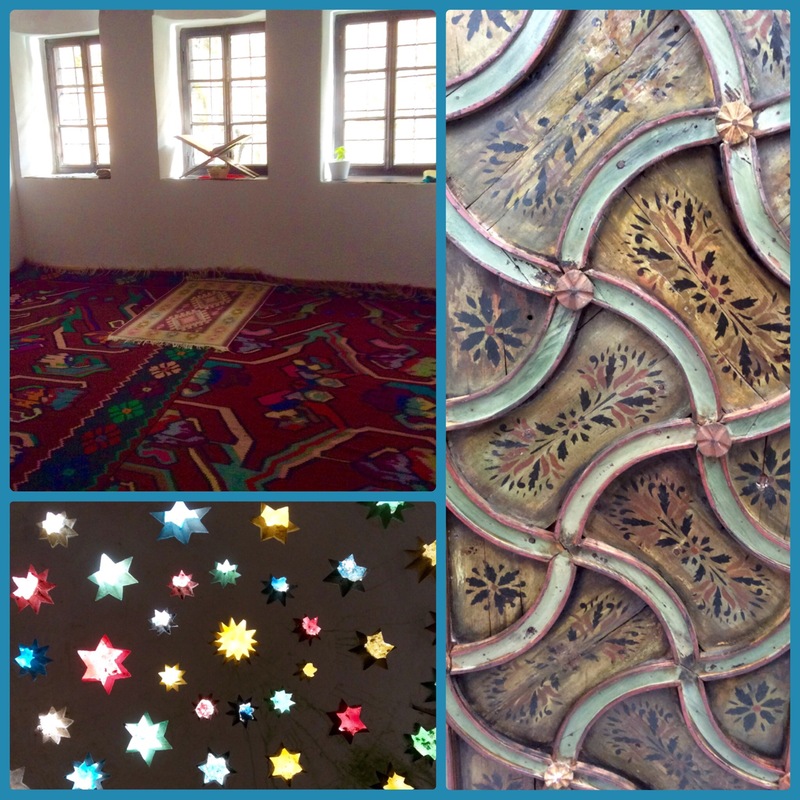 Colorful carpet in the prayer room, stars in the ceiling of one room, and a painted wooden ceiling in another. The clear aqua-colored headwaters of the Buna River gush from the cave. 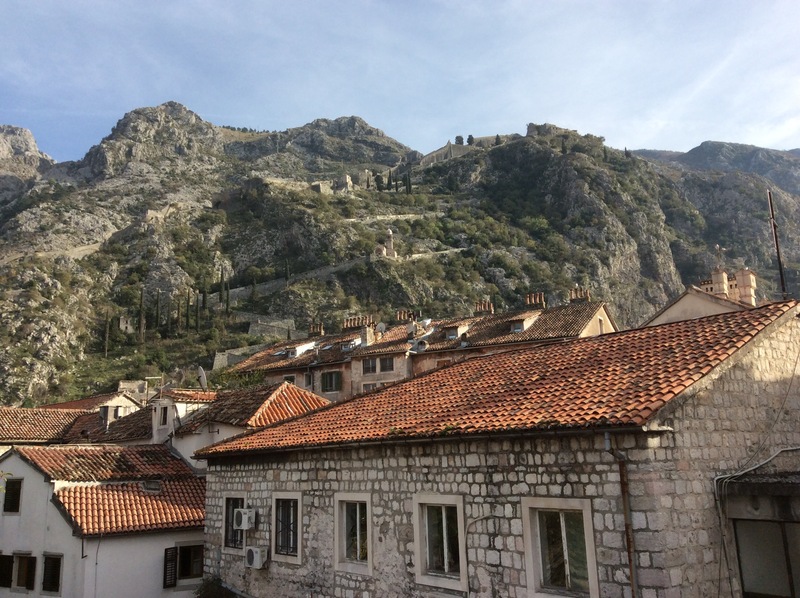 Montenegro is the nationalized name of this gorgeous country, but the local name is Crna Gora which means Black Mountain. 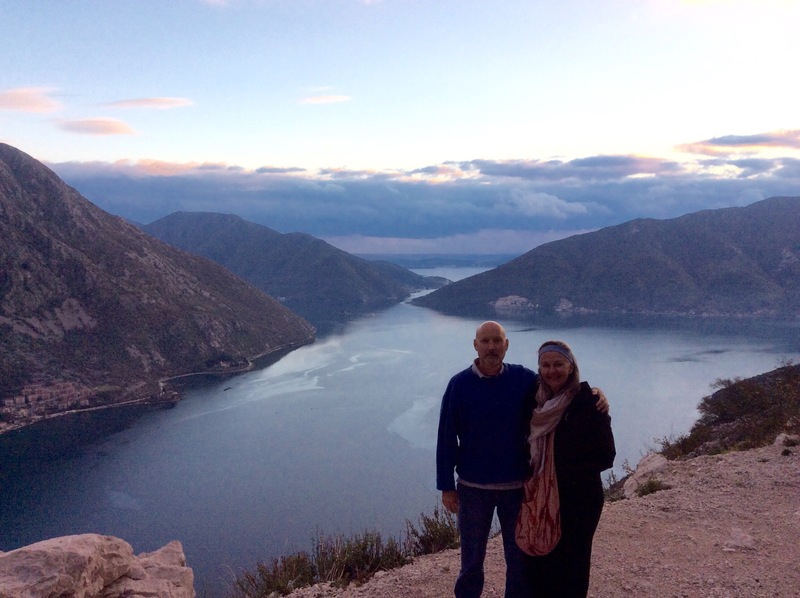 The Bay of Kotor is one of the most beautiful of the world’s bays. Some say these are Europe’s southernmost fjords, but others say they are flooded river canyons. 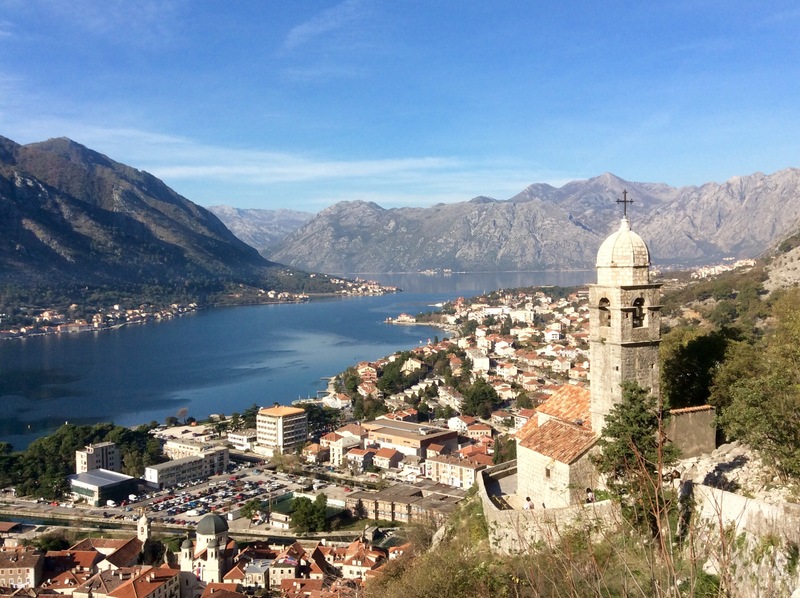 Montenegro’s mountains are some of Europe’s most rugged, averaging more than 7000′ in elevation. The coastal plains are only 1-4 miles wide so towns are settled between the high mountains and the water’s edge. 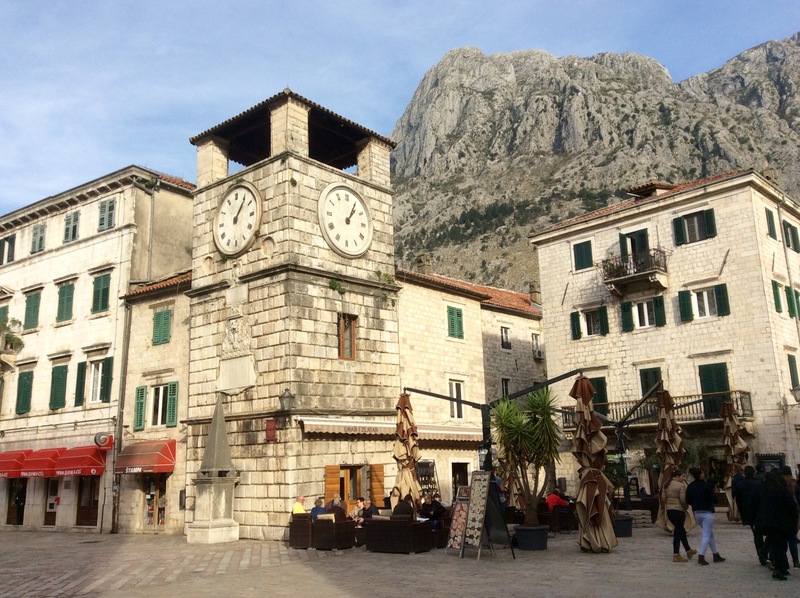 This is Kotor City. 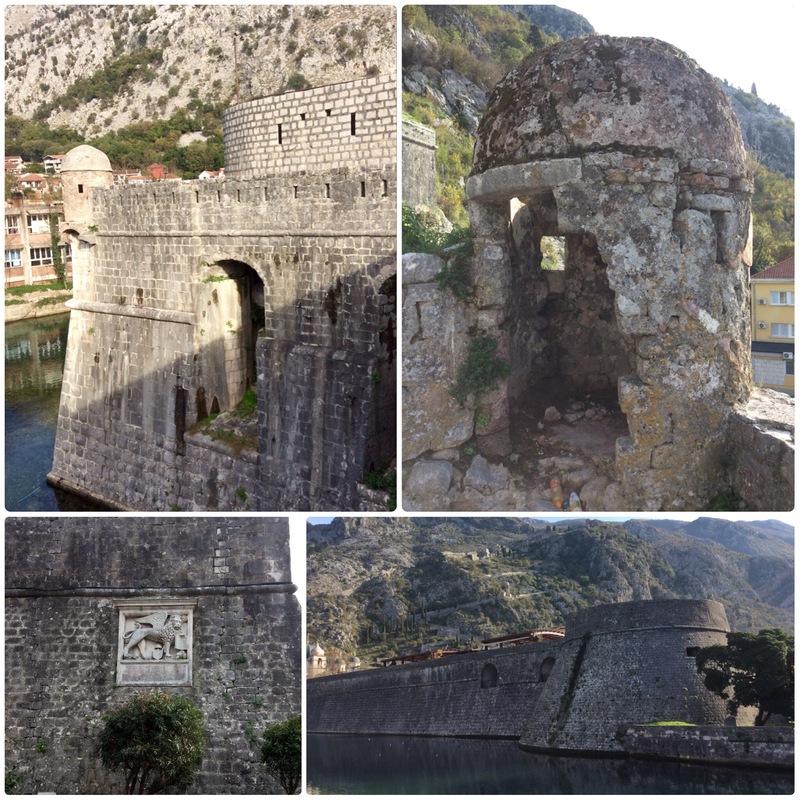 Kotor’s medieval walls were built by the Venetian empire and from a distance are barely discernible from the mountains. 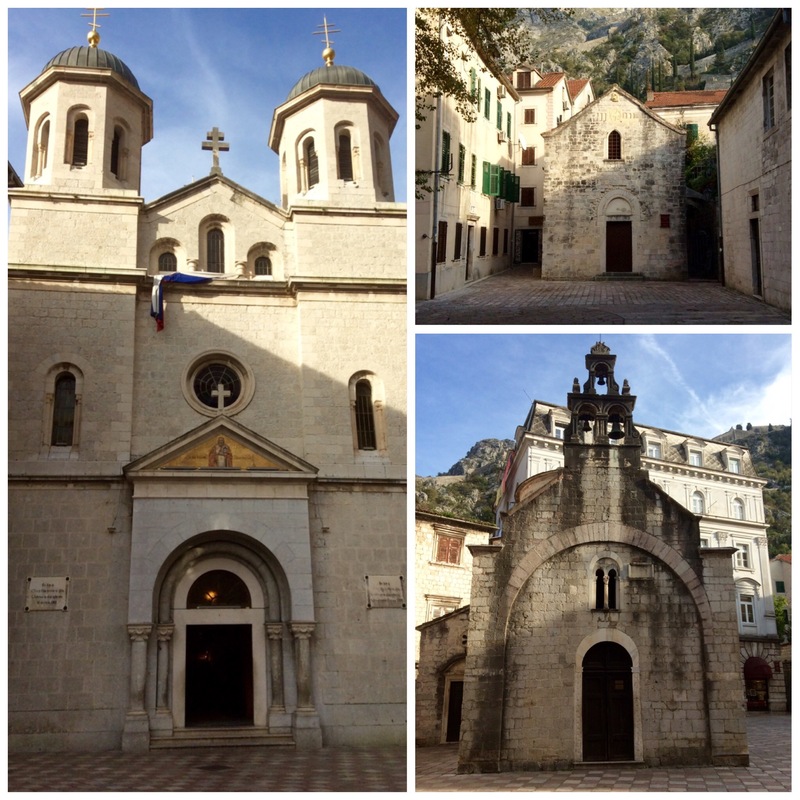 There are 16 churches and monasteries within the walled city of Kotor. 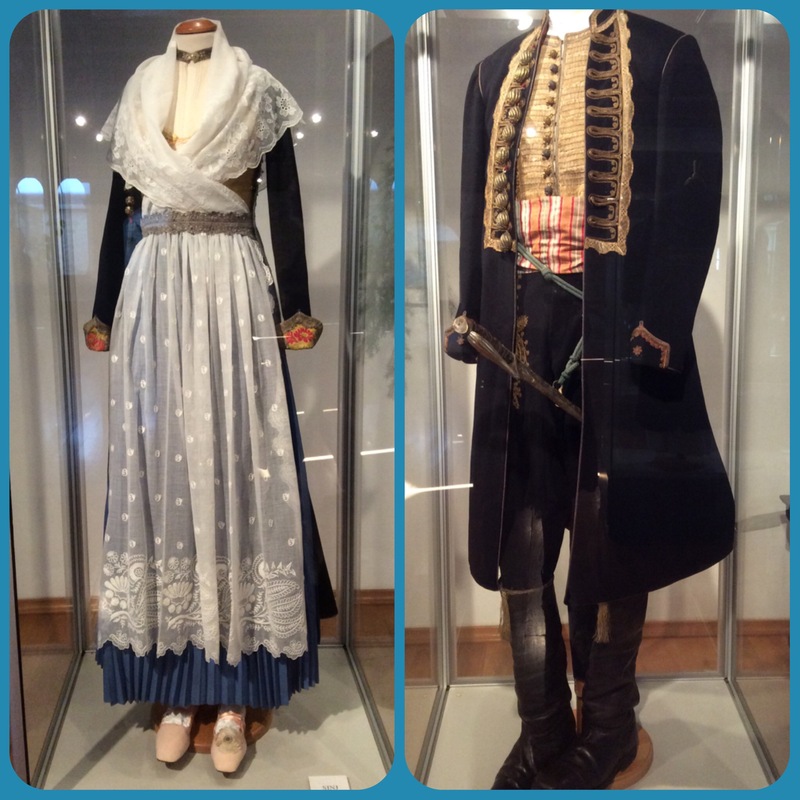 The Montenegrins and Serbians share the same Orthodox faith. 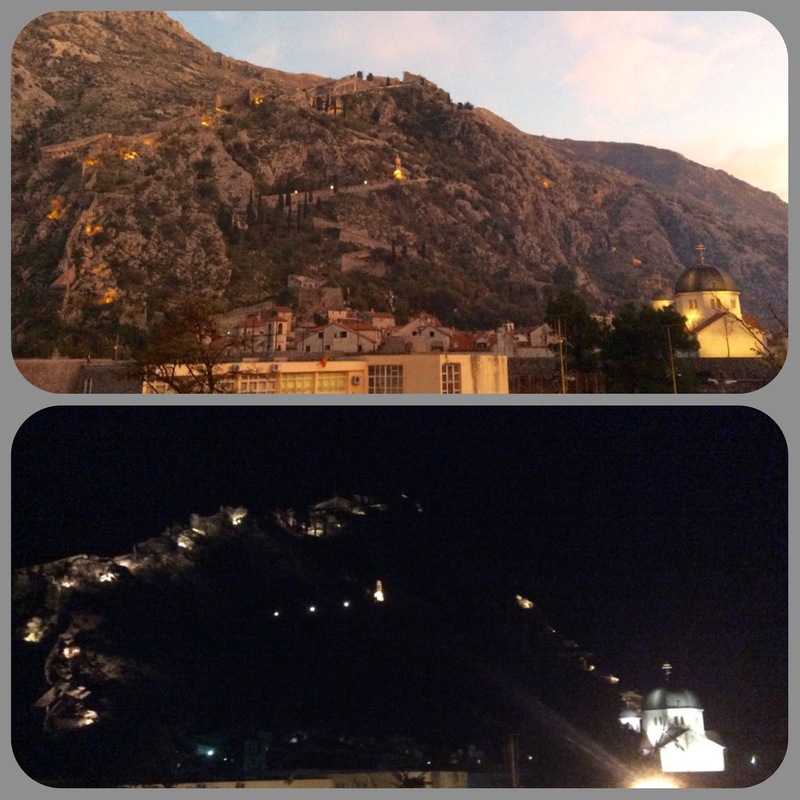 The town walls continue up the mountain to an ancient fortress overlooking the city. The vew of the illuminated walls encircling the city like a necklace. Both photos were taken from our balcony – at dusk and at night. 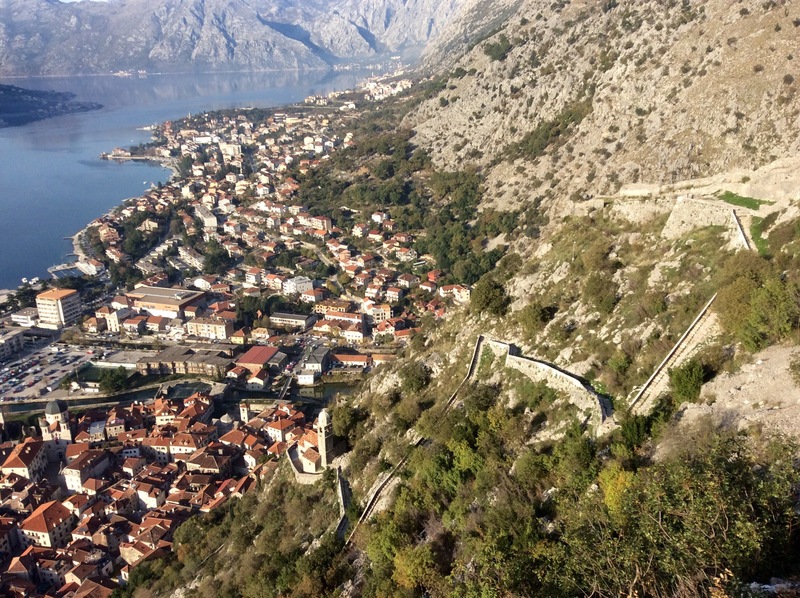 There are over 1300 steps zig-zagging up to the fortress. It is an ambitious climb up, but the view entices one to stop frequently and rest. I don’t think I’d ever tire of a ocean view like this one and the daily sunset displays! 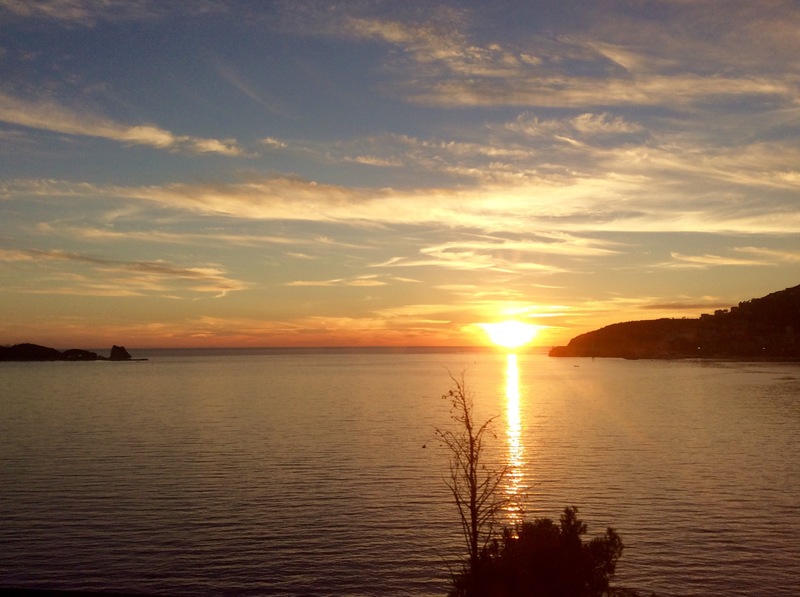 Taken from the bus between the coastal towns of Budva and Sveti Stefan, Montenegro. STUNNING! 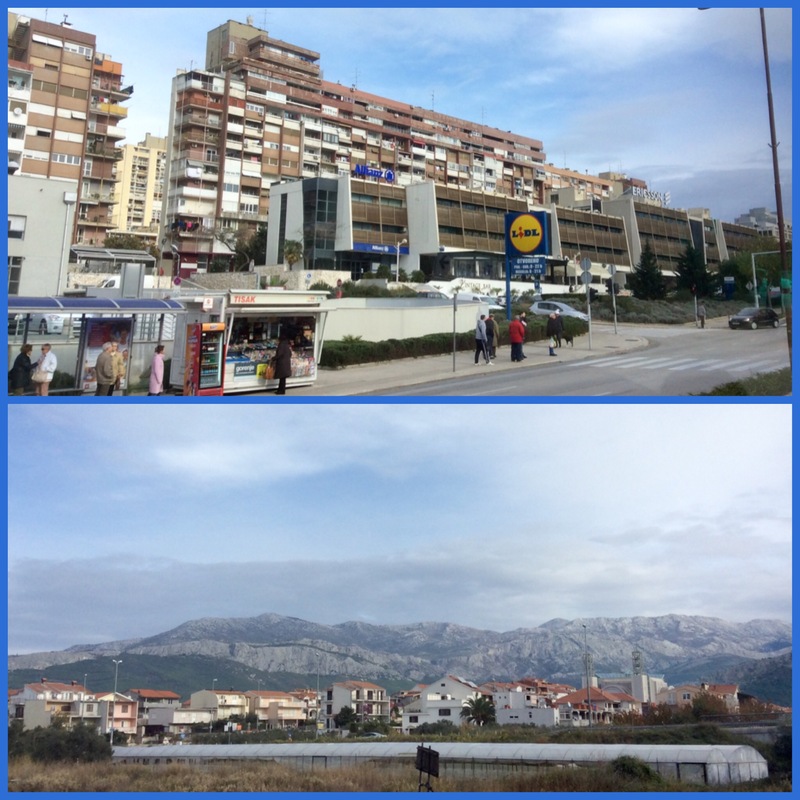 This week we said goodbye to the gorgeous Adriatic coast and friendly Balkan countries. Do you know where Meet You in the Morning is in real time? Coming next time: Learn where we will spend our 11th month on the road – and celebrate Christmas. Thanks for reading! I’d love to take a road trip through the Balkan someday. Oh, I hope you do! 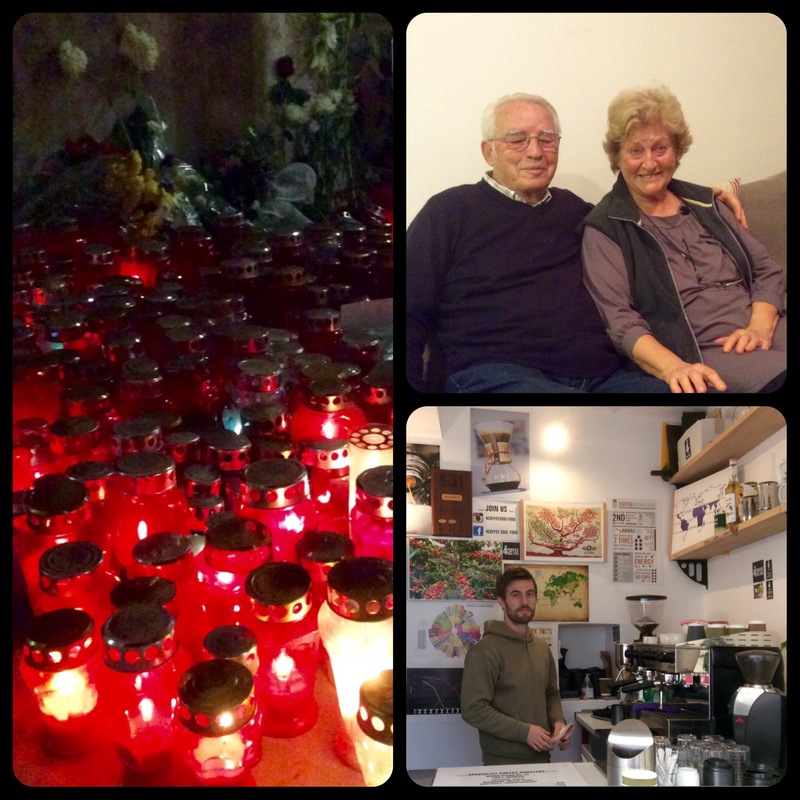 Beautiful country and friendly people. The locals are confused by it as well. Two young people we talked with both mentioned we ALL have the same blood in our veins. May they prefer peace and prosperity over hate and war. Are you in Italy now? Is that where you will be spending Christmas? I so enjoy reading about your adventures and seeing the beautiful photos of the areas you are touring. Thanks for always taking us along with you. Viva Italia! Land of our favorites: espresso, pasta, pizza, gelato. And there is the drama! Merry Christmas to you and yours. Thanks for following the journey, Debbie. 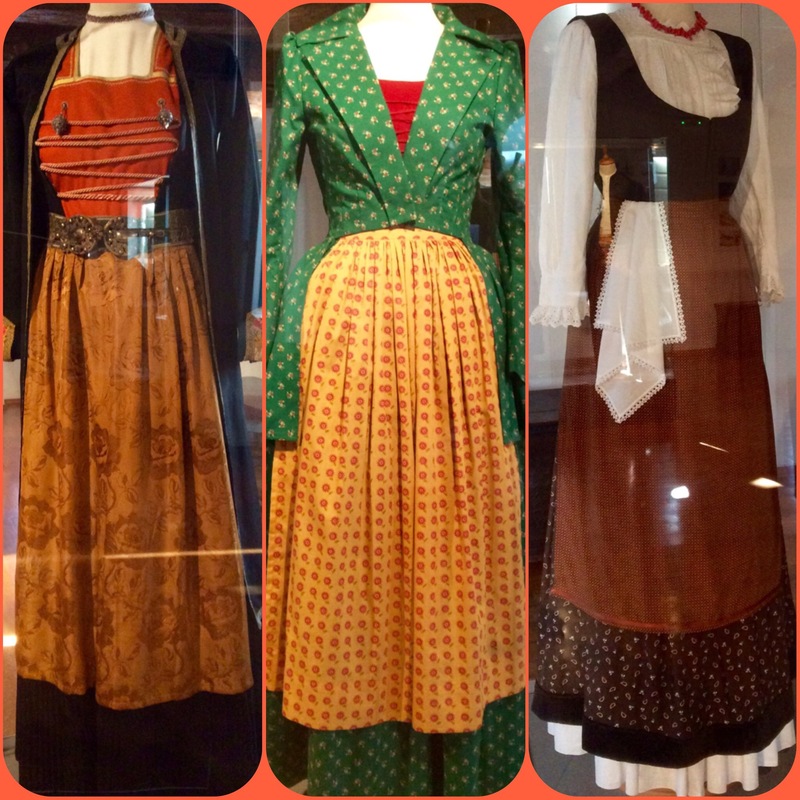 Such an beautiful journey which I Plan to replicate next year! Did you hire a car and drive yourself? It’s what I hope to do but I’m a bit scared! Any tips are appreciated! Cheers from Australia. I hope you take the plunge and travel! We have rented cars a few times. Sincere there are two of us it sometimes makes sense. They can be so convenient at times, and I like the freedom they offer, but they always turn out more expensive than you think. I not sure if you’re directing your question in regards to the Balkans or our entire journey but I’d be happy to answer any questions. I always navigate, and you can be sure it’s very stressful! Ps. We’ve never felt scared.